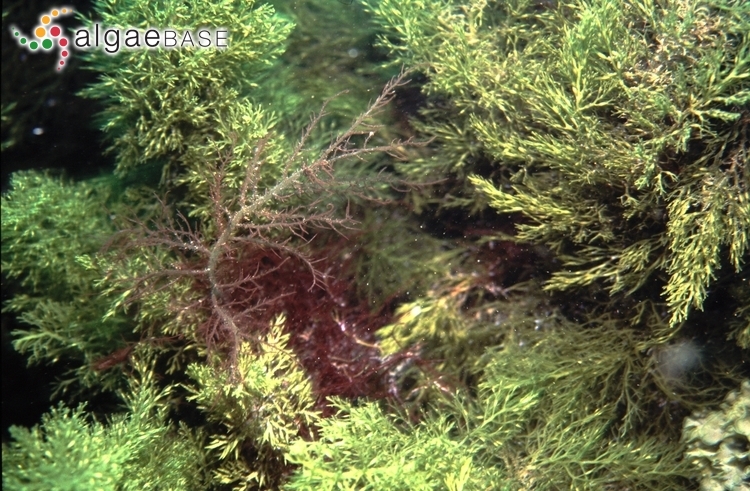 Madeira, with Hypnea musciformis (left of centre). Peter Wirtz. © Peter Wirtz (peterwirtz2004@yahoo.com ). Calafuria, Livorno, Italy; specimens at low water mark. 16 Apr 2007. Fabio Rindi. © Fabio Rindi (f.rindi@univpm.it). 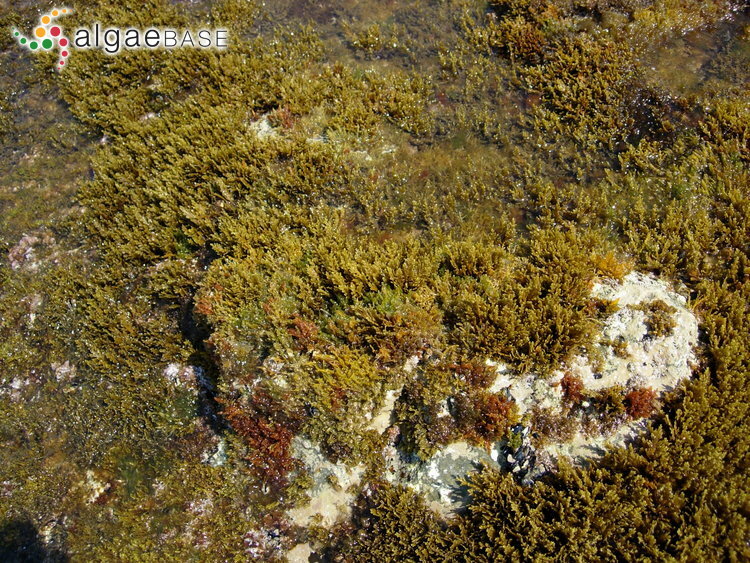 Calafuria, Livorno, italy; forming large population at low water mark. 16 Apr 2007. Fabio Rindi. © Fabio Rindi (f.rindi@univpm.it). Published in: Gerloff, J. & Nizamuddin, M. (1975). Bemerkungen zur Nomenklatur einiger Arten der Gattung Cystoseira C. Ag.. Nova Hedwigia 26: 341-348. Type locality: "Adriatischen Meers" (Esper 1799: 152). Type: Wulfen; (Silva 1996-to date Notes: Adriatic. John et al. (2004) cite Cystoseira abrotanifolia (Stackh.) 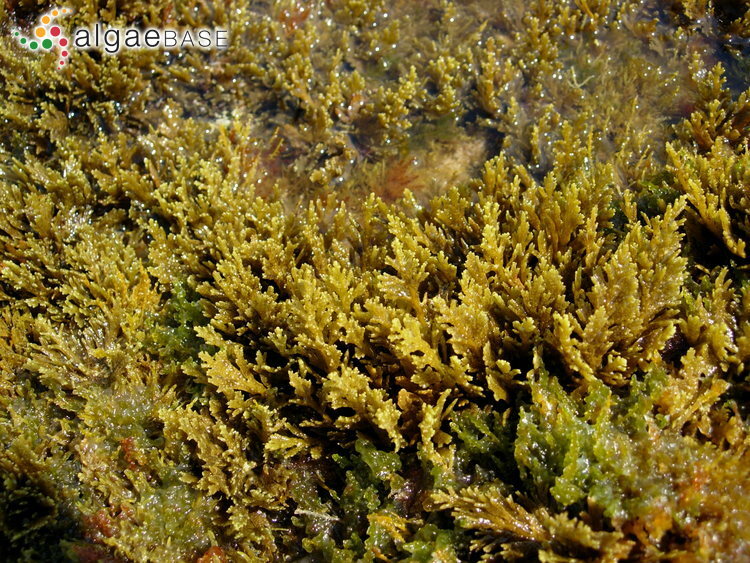 C. Agardh and Cystoseira fimbriata (Desf.) Bory as synonyms of this species. Schneider, C.W. & Lane, C.E. (2007). 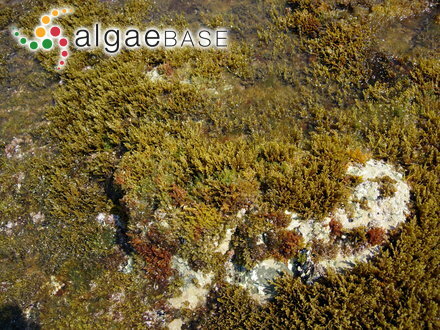 Notes on the marine algae of the Bermudas. 8. Further additions to the flora, including Griffithsia aestivana sp. 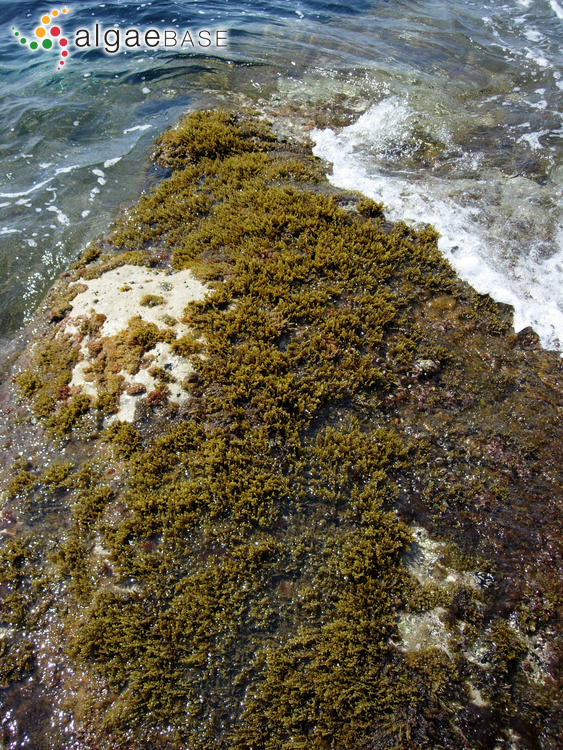 nov. (Ceramiaceae, Rhodophyta) and an update on the alien Cystoseira compressa (Sargassaceae, Heterokontophyta). Botanica Marina 50: 128-140. Accesses: This record has been accessed by users 10786 times since it was created.